The walls of your home have the advantage of changing and transforming your space with the help of paint or wallpaper. A dramatic room can instantly be made soft and airy with the application of light pale paint colour. While a room that feels too big can instantly feel cozy with darker wallpaper with a striking pattern. There are pros and cons of using paint or wallpaper. Factors to consider are cost, and versatility to your space. 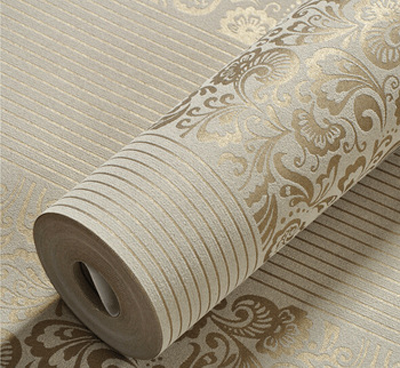 Whichever you choose your walls will benefit from the addition of wallpaper. Wallpaper comes in unlimited varieties and colours and cost as little or as much as your budget allows. 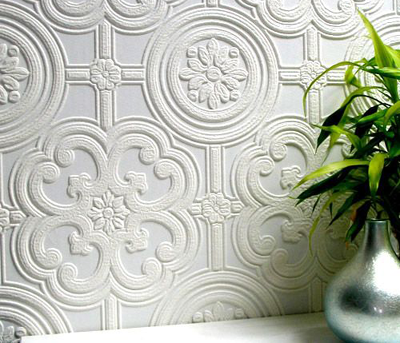 Wallpaper comes in paper and vinyl surfaces for durability and finish variation. The lifestyle of your family can make a considerable difference in which finish you select. Vinyl wallpapers hold up to wear and tear of children and in high traffic areas and many varieties are scrubbable. However wallpaper is applied with an adhesive, therefore there is certain rooms in the house that does not suit wallpaper. High moisture areas like bathrooms and kitchens wallpaper to peel away from the wall. It’s worth noting that your standard pastes are suitable for hanging all types of wallpapers. Some of the more high end traditional hand printed papers require a specific pastes that are not readily available. As you can see there is so much to consider when choosing a paper. Therefore it’s always best to get the pro’s, and believe me, we have hung miles of wallpapers. Obviously we would not choose the paper for you, so before spending ££££’s on wallpaper consult us or ask your wallpaper supplier or you could end up out of pocket. When purchasing your preferred paper, make sure all the rolls are from the same batch, there should be a batch number on the roll. This will ensure that there is no colour difference from one roll to another. Remember to always buy more than you think you need, you can always take spare rolls back, but if you haven’t enough the shop your purchased it from may have sold out or there may be no more rolls with the same batch number, then you have a problem.